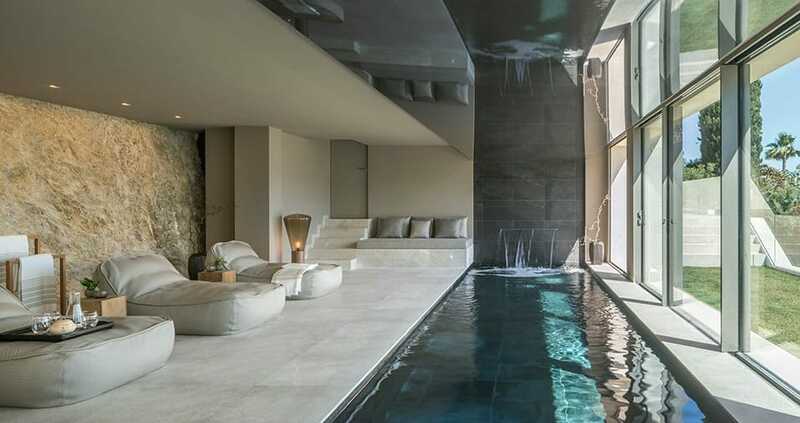 A two-year collaboration between high-end property developers Mallorca Heritage, 3de3 Architects and home decor firm Terraza Balear has created one of the island’s stand-out luxury villas, dubbed Gabellí. 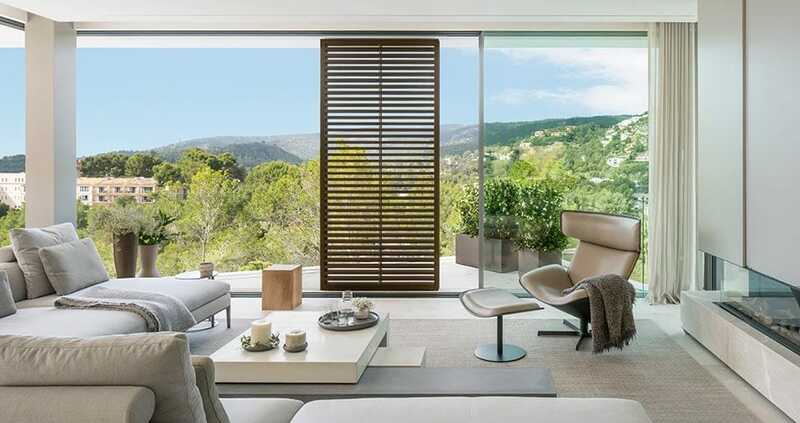 Nestled in picturesque hillside surroundings with views over Palma Bay, the design smartly integrates organic building materials and cascading plant life with its scenic nature-rich surrounds. While best known for their interior design projects, Terraza Balear were key in the interior architecture from the distribution of space to the selection of materials, finishes, and lighting, as well as all the furniture. Their goal was to create environments that connect with lines and architectural forms, achieved by balancing functional and aesthetic elements to transmit tranquility, connection and elegance. 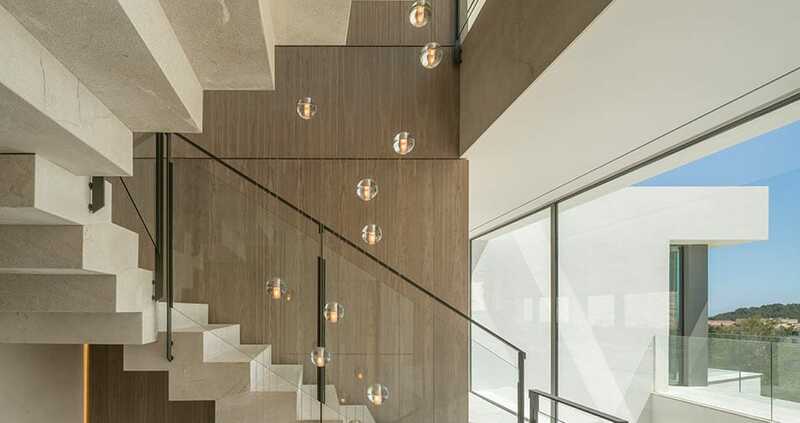 A standout feature of the property is a floating staircase, which works like the spine of the building and connects all the spaces. With this spectacular setting, another principle design focus was to create an atmosphere that allows the landscape to play the main role on this splendid stage. An understated palate of neutral tones – from shades of beige, to warm taupe and cool greys – complement the surrounding natural stone and forest. 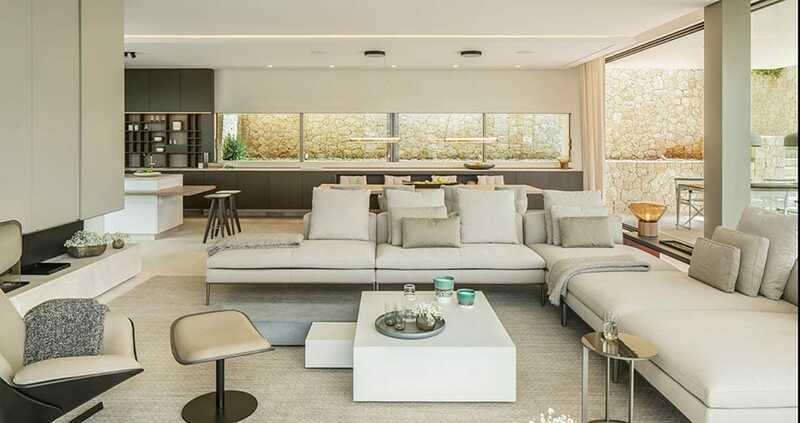 The neat uncluttered interior design makes the most of the building’s architectural dynamics, where kitchen, dining, open-plan living areas and huge terraces all flow naturally into one another. The result is a feeling of breezy sophistication, together with a harmony of form that resonates throughout this superlative living space. We hope you have found this article about the Luxury villa with natural flow useful and that you have many memorable stays in Mallorca as a result of our recommendations.